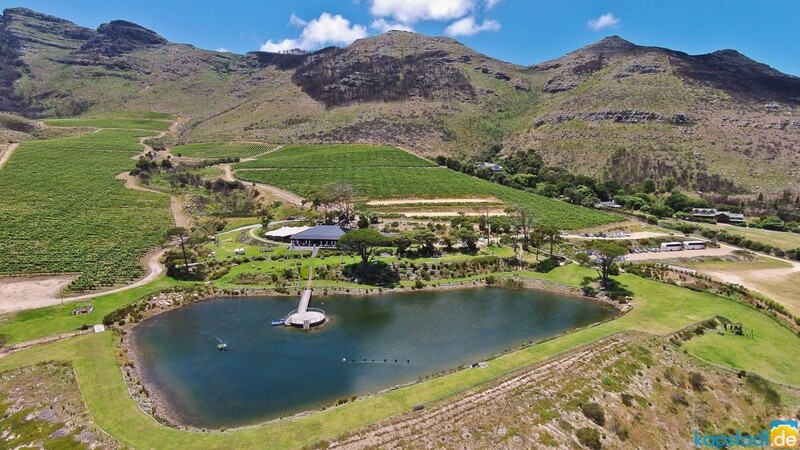 Cape Point Vineyards is an Award Winning Winery with a Restaurant and a Function Venue, located in Noordhoek – a mere 33km’s from Cape Town. It is here in Noordhoek where the close proximity to the Atlantic Ocean provides cool breezes to nurture a terroir that is ideal for the cultivation of World Class Sauvignon Blanc wines. The Cape Point Vineyards Restaurant, Picnic Site and Function Venue is located in a unique setting with 360 degree views of mountains, fynbos, vineyards, and glorious sunsets over the Atlantic ocean.